Ryerson University - Segovia Advertising & Design Inc.
Segovia A&D was involved in developing several projects for Ryerson University: Brand Strategy, Development & Styleguide for Student Affairs, Brand Strategy, Development & Styleguide for Graduate Studies. We were also involved in expanding the new Brand Identity into Hoarding Projects, Faculty of Community Services templates and other material. 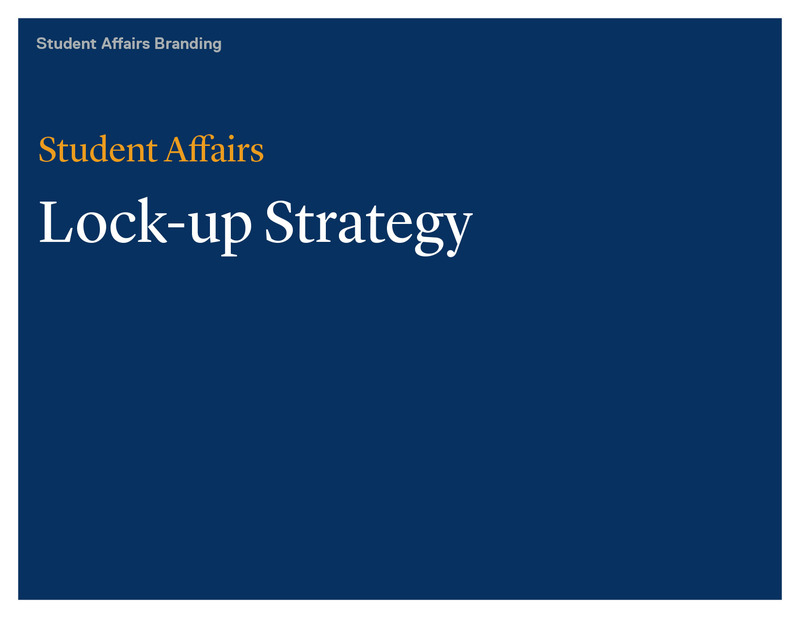 Working with the newly developed Brand Standards, we continued and implemented a brand architecture system for Student Affairs. 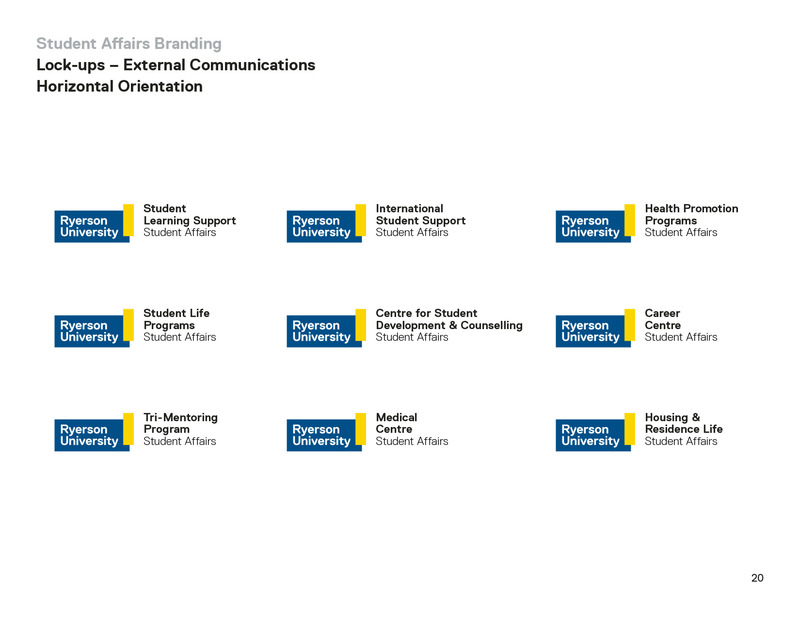 Within Student Affairs, there are nine separate units. Each required a unique icon and identity system that both fell within the overall brand architecture and created a unique identity. Each “icon” project was essentially a logo or brand mark development exercise for each department. A complete Brand Standards document was developed and created for the University to guide the implementation of the brand. Posters, invites, brochures, digital banners, pop-up display banners.